A new exhibition, sure to appeal to fans of the comic-book medium is now open at Paisley Museum. 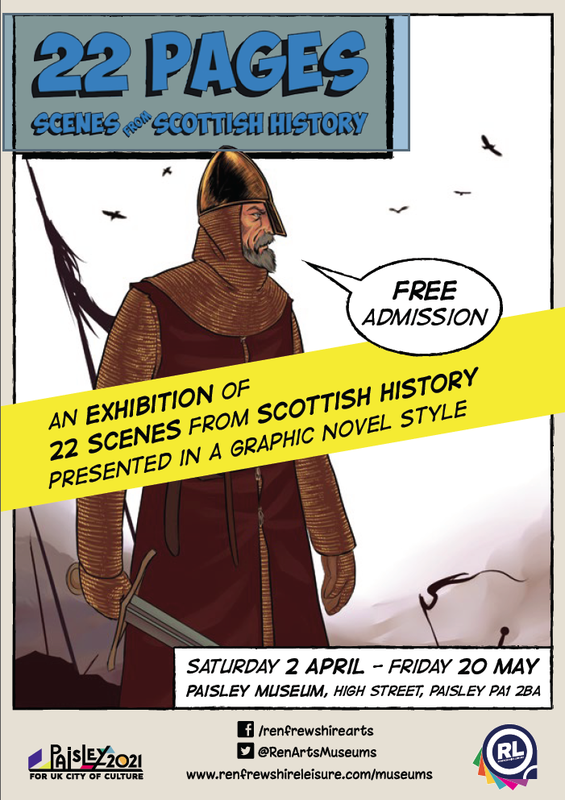 22 Pages – Scenes from Scottish History depicts historical events presented in a graphic novel style. The exhibition is FREE and will run from Saturday 2 April to Friday 20 May. Thanks to the success of the superhero genre, graphic novels and comic illustration have gained immense popularity and respect in recent years. But of course, the medium is not new. The cave paintings of ages past and hieroglyphics of ancient Egypt were the first examples of storytelling through pictures. 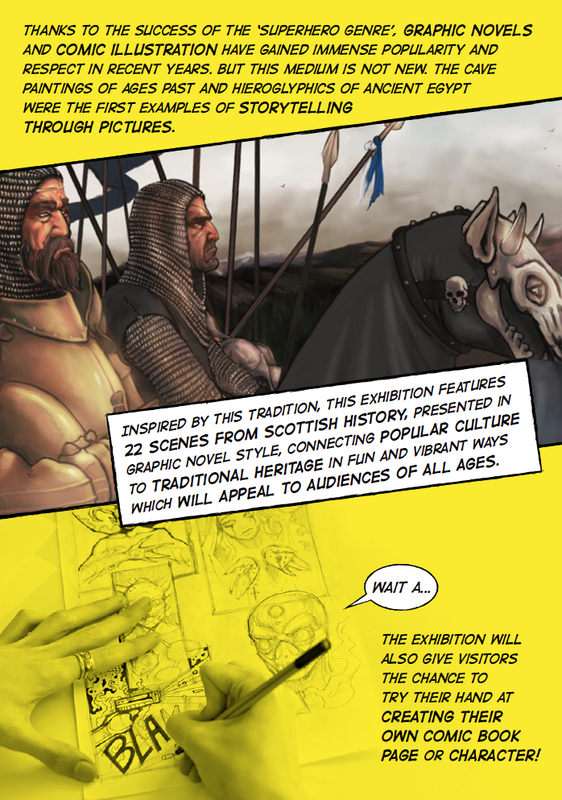 Inspired by this tradition, this exhibition features 22 scenes from Scottish history, presented in graphic novel style, connecting popular culture to traditional heritage in fun and vibrant ways. The exhibition was created by Magic Torch Comics, and features 22 pieces of original work by artists Andy Lee and Mhairi Robertson. The works have been inspired by classic scenes from graphic novels and comics of the last fifty years. 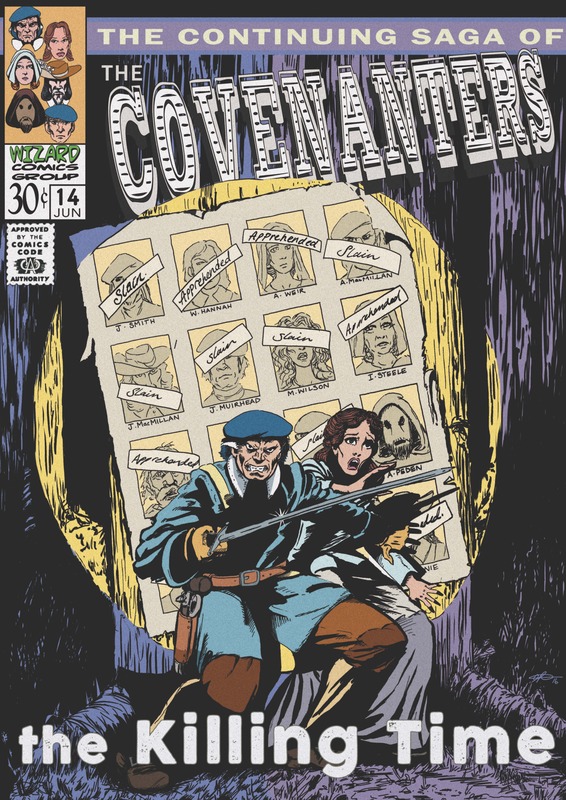 The exhibition, will also give visitors the chance to try their hand at creating their own comic book page or character.